The Justice League boot camp is a perfect place for Superman to practice his skills. There are a lot of robots that will attack you, but you should disable them first. Punch them and avoid falling mines to survive the level. 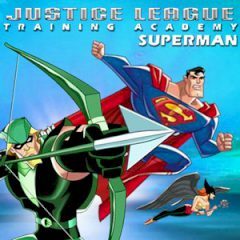 The Justice League Training Academy is a place where all members of that deadly squad improve their combat skills. Today it's Superman's turn and he is going to fight robots with his bare hands! Punch them before they hit you and dodge falling mines otherwise you will just lose the level. Practice until you beat the record and become first at the leadersboard.